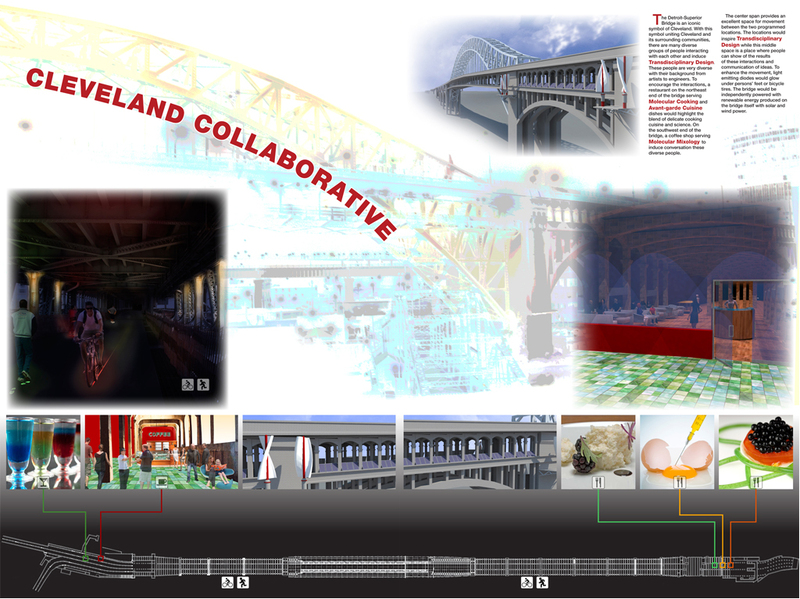 Overview: The Detroit-Superior Bridge is an iconic symbol of Cleveland. 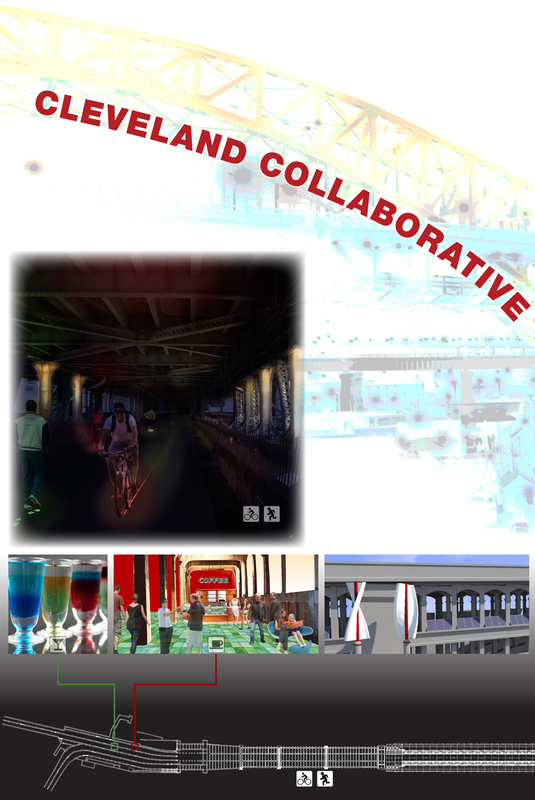 With this symbol uniting Cleveland and its surrounding communities, there are many diverse groups of people interacting with each other and induce Transdisciplinary Design. These people are very diverse with their background from artists to engineers. 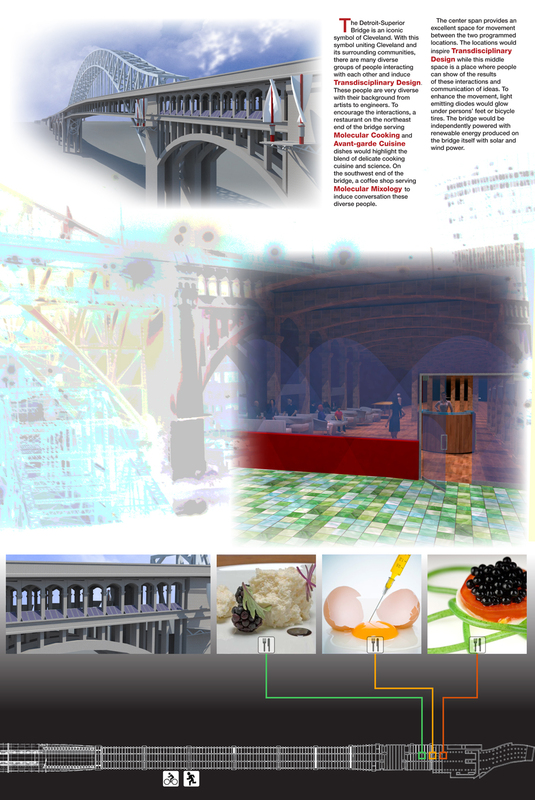 To encourage the interactions, a restaurant on the northeast end of the bridge serving Molecular Cooking and Avant-garde Cuisine dishes would highlight the blend of delicate cooking cuisine and science. On the southwest end of the bridge, a coffee shop serving Molecular Mixology to induce conversation these diverse people. The center span provides an excellent space for movement between the two programmed locations. The locations would inspire Transdisciplinary Design while this middle space is a place where people can show of the results of these interactions and communication of ideas. To enhance the movement, light emitting diodes would glow under persons’ feet or bicycle tires. The bridge would be independently powered with renewable energy produced on the bridge itself with solar and wind power.